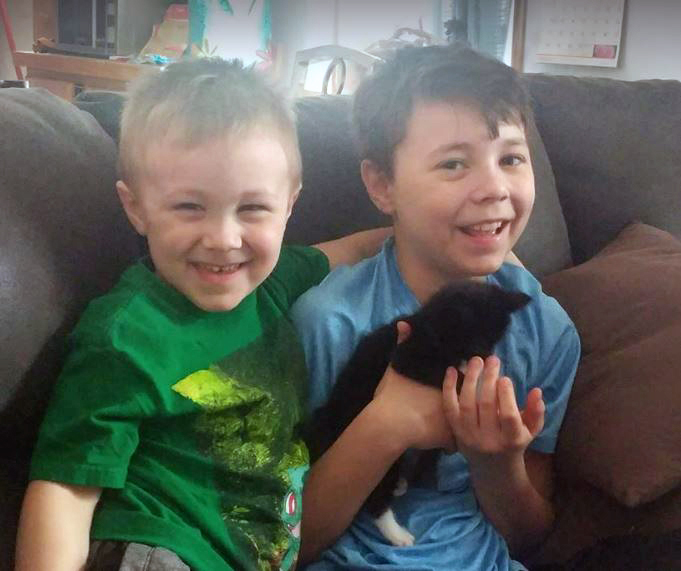 Jonny’s pictured (at left) with his brother, Danny, just before a brain tumor was discovered. Six months ago, Jonny Milburn was running around with his classmates at Winona United Methodist Preschool without a care in the world. When his preschool teacher Mrs. Jenn noticed his left eye seemed to be turning in every once in a while, the Milburns immediately made an appointment to get it checked out but figured they had nothing serious to worry about. The first eye doctor referred the Milburns to another eye doctor, who then said Jonny needed an MRI just to rule things out. So the Salem family made an appointment for a MRI at the Akron Children’s Hospital in the Mahoning Valley. Little did they know that this April 4 appointment would begin an 18-month cancer battle for Jonny. 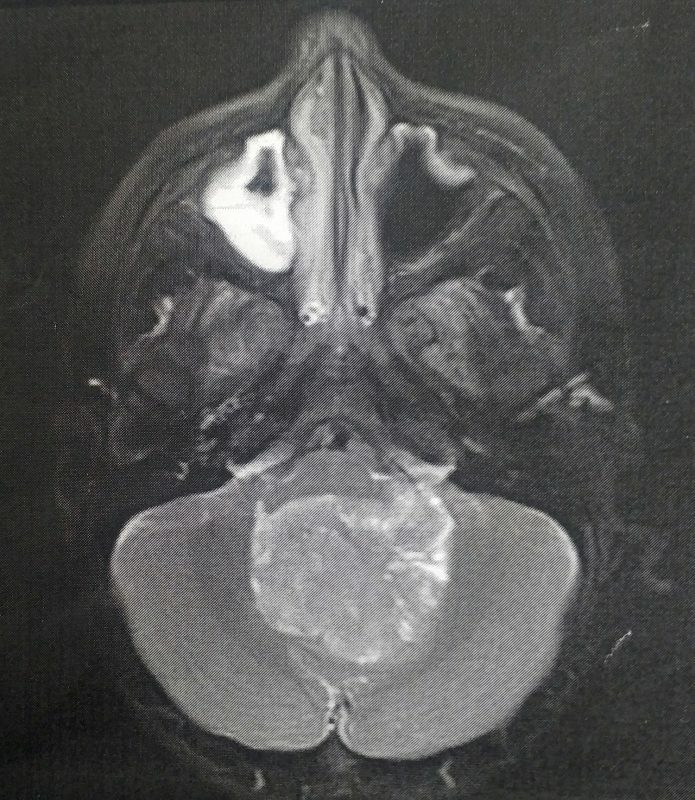 To everyone’s surprise, the MRI showed Jonny had a golf-ball sized tumor near his brain stem and was suffering from hydrocephalus, a buildup of fluid and pressure in the brain. 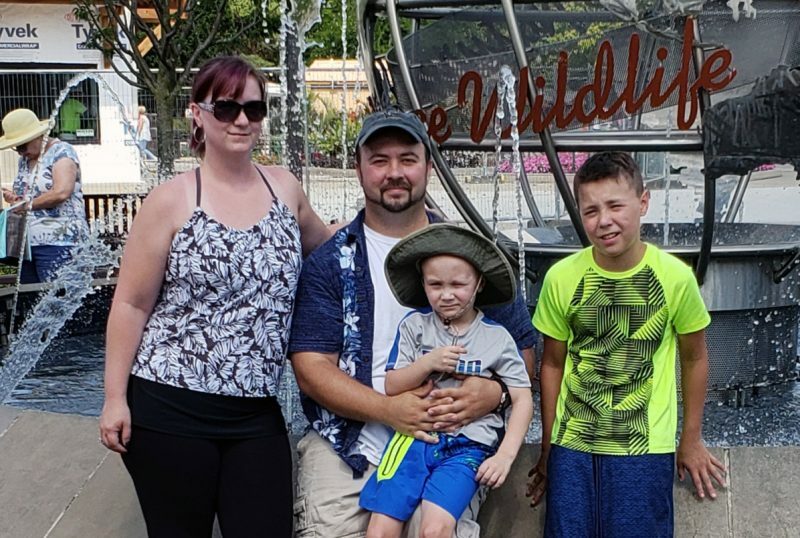 Instead of enjoying a leisurely breakfast at IHOP, he was rushed by ambulance from the Radiology Department at Akron Children’s Hospital’s Beeghly campus to the Pediatric Intensive Care Unit in Akron. 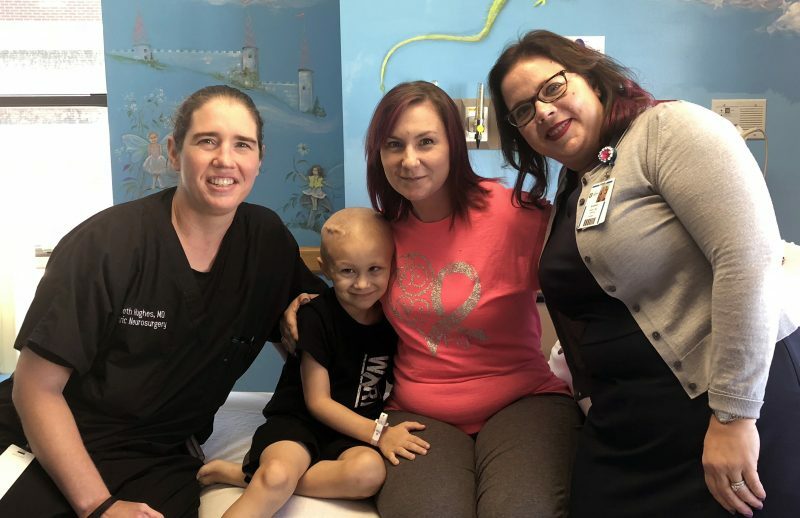 There, the family was introduced to pediatric neurosurgeon Dr. Gwyneth Hughes and pediatric neuro-oncologist Dr. Sarah Rush from Showers Family Center for Childhood Cancer and Blood Disorders. Jonny, Dr. Hughes told his parents Angela and Brian Milburn, would need to have an emergency surgery to remove the tumor the very next day. There would be no way of telling if the tumor was malignant until after it was removed during the surgery. The results of the surgery would take about 10 days. There was a reason the surgery had to take place so fast. Jonny’s life was in danger. Jonny made it through the night and hopes were high as Jonny emerged from the 9-hour surgery the next day. 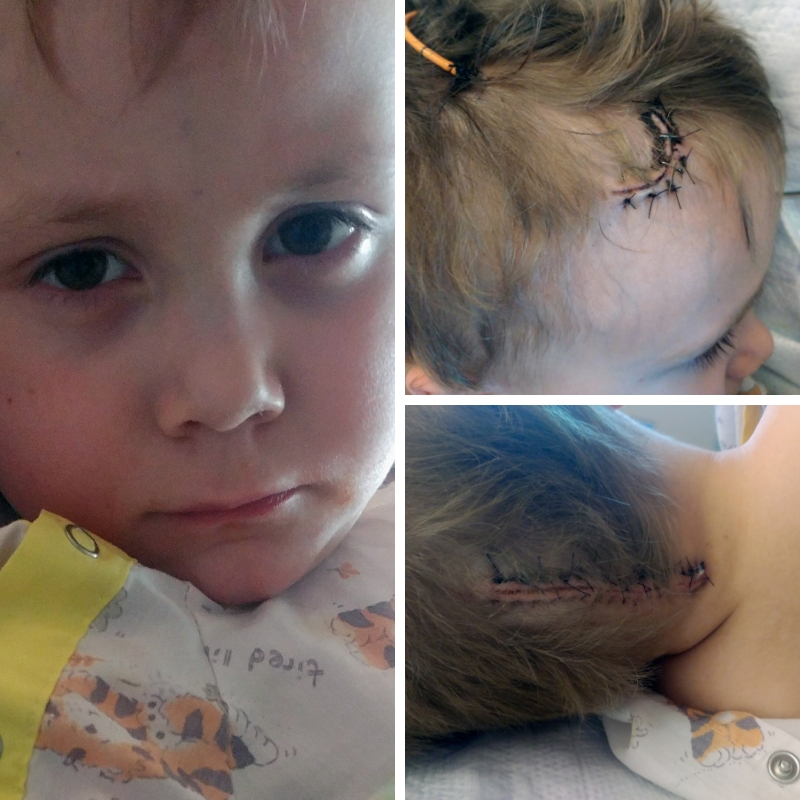 Jonny had 2 incision sites: on the top of his head to place the shunt and on the back of his head to remove the tumor. The Milburns then had to play the waiting game as the tumor was carefully examined for cancer by the pathology department. They also would have to wait and see how the surgery would affect Jonny’s abilities, including his speech and his ability to walk. 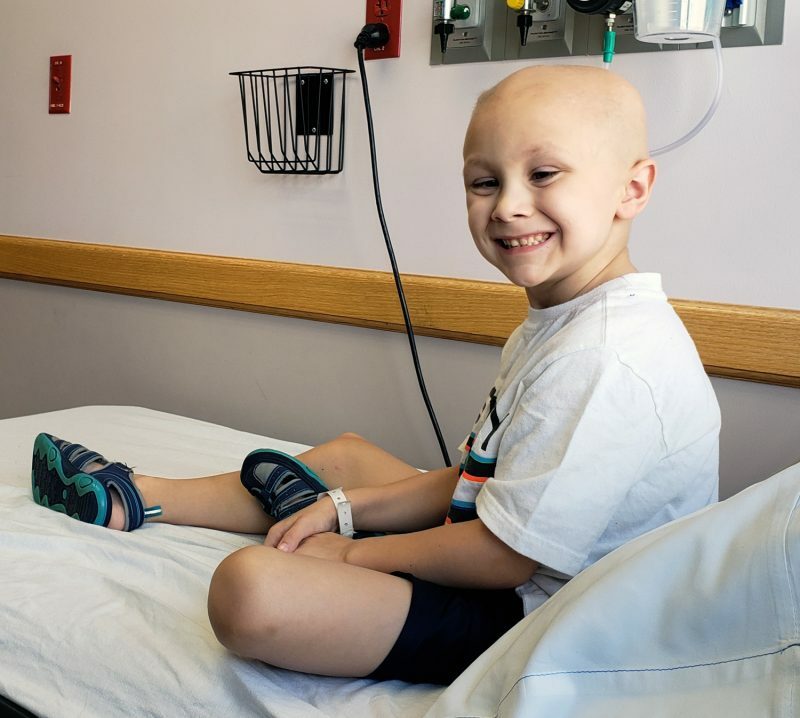 The pathology report from the tumor biopsy soon came back malignant with the diagnosis of medulloblastoma, and Jonny soon began treatment with radiation. He received 30 radiation treatments and has just recently started the third of 9 courses of chemotherapy. His treatment will continue for total of 48 weeks. When Dr. Rush sat down with the family to explain the biopsy results, it was an especially tense moment for the Milburns in what had been a whirlwind week. According to Dr. Rush, 80-85% of the kids diagnosed with this form of cancer survive and the relapse rate is very low. Jonny spent 50 days hospitalized as he underwent radiation. He had to learn how to talk, eat and walk again. 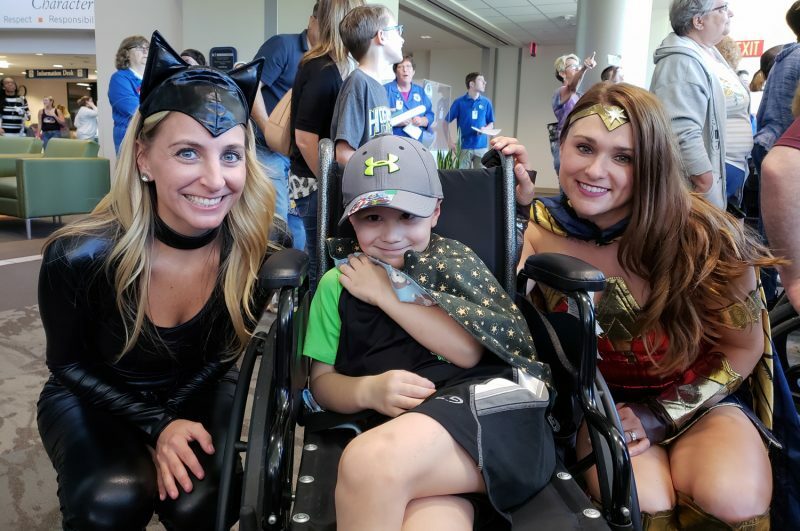 As an inpatient, Jonny had a great time on Superhero Window Washer Day and getting a gift from Capes for Courage. 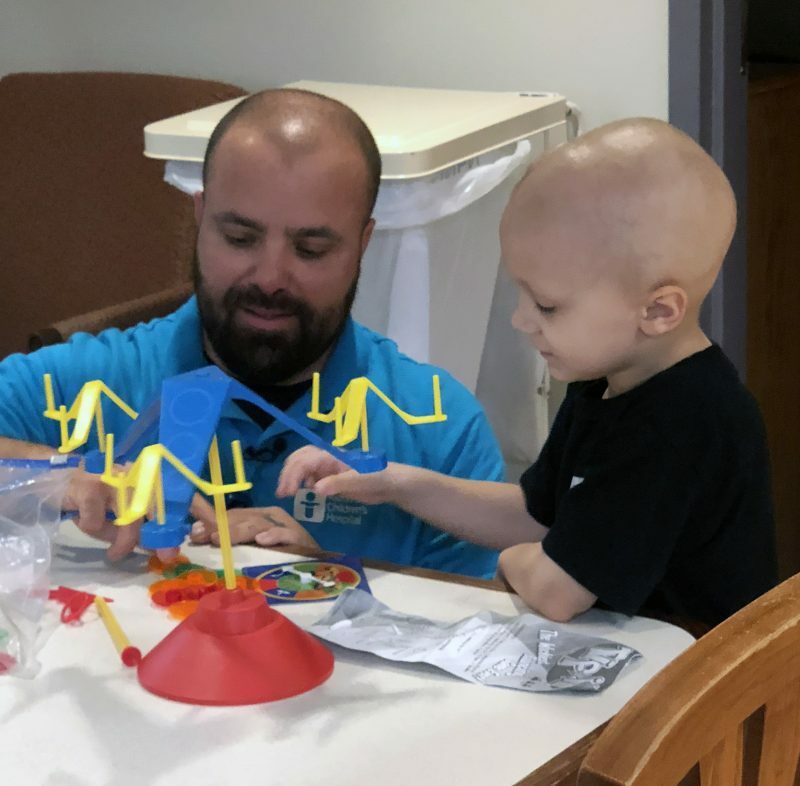 Aside from losing all his hair from radiation treatments and occasionally stumbling while running, Angela says you would never know Jonny is well into his second chemotherapy cycle. He loves football and watching big brother Danny play for the United Eagles team. He loves visits from the Doggie Brigade and playing with his 2 puppies, Scamp and Scruffy. And he enjoys his therapy at the hospital, where therapists push him to regain his skills in a fun and engaging manner. He started back at preschool in mid-September and loves being back with his friends and teacher. He’s a big superhero fan and currently carries a backpack featuring Black Panther. 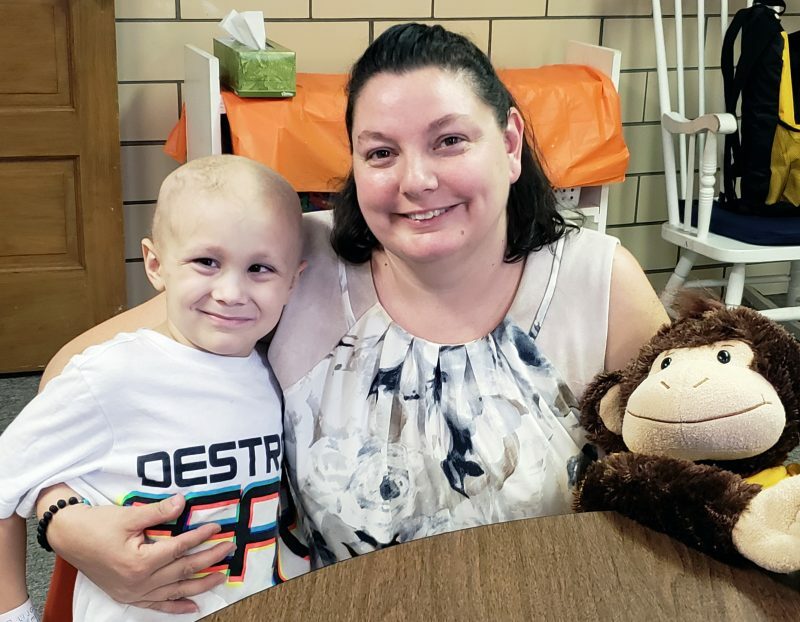 When he’s not able to be at school due to chemo infusions and physical, occupational and speech therapies, he has a special stuffed animal to put in his chair to remind other students that he’s still part of the class. Mrs. Jenn, Jonny and the monkey in their classroom at Winona United Methodist Preschool. And Jonny has an exciting adventure coming up in March. What Angela didn’t know then she knows now. She’s pregnant with baby No. 3 due March 17, and Jonny couldn’t be more excited about that news. Family portrait on vacation: Jonny with his older brother Danny, and parents Angela and Brian.